← Fred de Brouwer. De Thaise politie doet goed werk. Dan komt de Nederlandse politie en ambassade langs. In February this year, I went to Germany and tried to convince journalists to publish about my situation. What happened? When I was waiting in the central hall at the reception desk, I notice a man sitting outside on a bench in front of the Media building. I was only wondering what he was up to with his bags and everything. When I leave after the appointment with the journalists, I learn that the same man follows me to the metro station. Luckily, I took pictures. Does he look familiar to anyone? This is no coincidence, the guy was even wearing make-up! Anyhow, somehow I am not able to convince journalists abroad to publish anything about the situation that I am in. My guess is these followers have something to do with that. It was the 13th of February 2014. 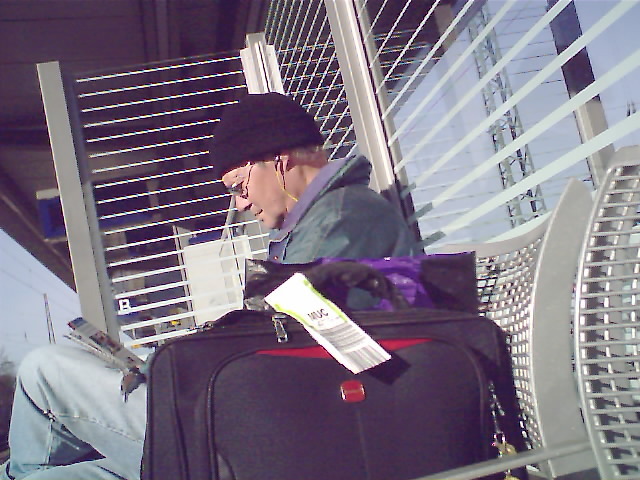 Image | This entry was posted in English language, international, Media, Privacy and tagged attempt, gang stalking, Germany, journalists, Munich, secret services, wie is deze man, Zeitung. Bookmark the permalink.